M. Cohen Interior Design is a full service high end residential interior design firm located on the North Shore of Chicago, Illinois. The firm's projects range in scope from partnering with architects and builders in designing new construction or rehab projects to helping clients update existing rooms. Meredith brings a fresh perspective to her designs. Her layouts are well thought out and attention is paid to every detail. Furnishings are chosen with the bones of the house in mind and special care is taken as to how the pieces will be used to ensure functionality and longevity. The homes Meredith designs are warm, welcoming, and reflect each client's individual style. The firm was established 1996 by Meredith Cohen, a designer with a strong background in related visual arts industries. Previously Meredith designed and manufactured a line of high end custom children's bedding under the self owned "me & ewe company, inc.", brand name. Style meets charm, reinvention meets function, contemporary aesthetic meets the feel of home -- this is steve + filip design. The Chicago based design firm is a two man team, Steve Somogyi and Filip Malyszko. The roots of the company began when Steve worked in residential real estate, brokering high-end homes. His love of design soon overtook his heart and soul and he began to consult his clients on concepts for their homes and offices. This development clicked and his focus narrowed to where his true talents lie. During this time, he met Filip over a drafting table at Harrington College of Design. They quickly became friends. Steve adored Filip's aesthetic and eye for detail, Filip loved Steve's fearless hands-on attitude. They soon realized that he had met each other's match. After graduation, they joined forces and eventually exchanged rings to become a Husband and Husband team. Steve and Filip welded their individual strengths together to form a solid structure. In turn, the architecture of steve + filip design was put into place and continues to strengthen every step of the way. For over a decade, the duo have specialized in full service strategies for new construction and renovations. Their goal is to create unique schemes for homes, offices, and retail spaces with an emphasis on quality and elegance. Featured in House Beautiful, CS Interiors and North Shore Magazine. Chicago boutique interior design firm specializing in residential and commercial design. Merging art and design to create distinct interiors that re-imagine the possibilities of mixing modern and classic style with bit of the unexpected. We work to create projects that achieve a balance of edgy yet attainable design, producing interiors that are both current and enduring. A funny thing happened on the way to shutting down an 80 year old home furnishings icon. An idea sprouted offering you direct access to fine furniture, carpeting, window treatments and more - at prices below furniture stores, N. Carolina dealers or interior design showrooms. It is like an exclusive buying club without the fees. You are the heart of this new endeavor. It is inspired by your wish for more affordable decorating solutions and a more enjoyable home. Through an innovative business model and time-honored relationships with key vendors, we pass the savings on to you. Whether you desire a single piece or a room updo, our unique service will save you time, money and promise rewarding results. Thank you for considering John Plunkett Interiors for your interior design and home furnishing needs. A good home design professional will hone your style down to its very essence and be able to choose a functional layout that feels natural to you. Interior design companies can be involved as much or as little as the client desires. Many clients who hire an interior decorator in Wilmette, IL — particularly those who are remodeling — have a good sense of how the room should look and what products they should use. Often clients will insist that interior decorators use the products already present in the house. Other times a designer will need to start from scratch — especially if this is a newly purchased or just-built home. An interior design company will need to figure out exactly what the client needs, which includes organizing rooms, picking flooring and wall colors, and finding furniture to complement it all. Sometimes that means he or she will have to recruit help from other Wilmette, IL home professionals to help create the perfect look for your renovation. Here are some related professionals and vendors to complement the work of interior designers & decorators: Architects & Building Designers, General Contractors, Home Builders, Design-Build Firms, Photographers. Do your research before meeting with an interior designer or home decorator in Wilmette, IL. Ask yourself what you want your space to become and what it will be used for. Figure out the extent of what you need help with, what your must-haves are and what your budget is. Interior design services can add up fast, so be up front with a potential design firm or individual from the beginning. Also, pick an interior decorator that fits your style. Browse through the portfolios of different Wilmette interior design firms and decide if you would live in those houses. Just because you like something doesn’t mean you could live in it. There's a big difference! 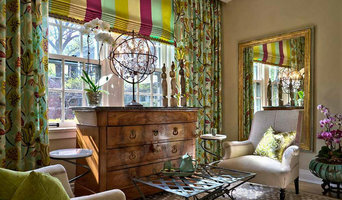 Find an interior designer or home decorator in Wilmette, IL on Houzz. 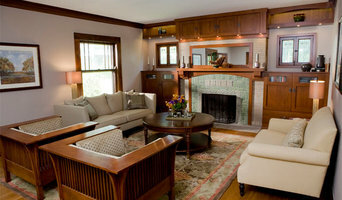 Narrow your search in the Professionals section to find Wilmette interior designers near you. You can also look through Wilmette, IL photos to find a room you like, then contact the design firm who designed it.